String Charts for Rees Lever Harps — Rees Harps Inc. String chart pdfs for all Rees Concert Line Harps. Below are the links to the string charts for each of the pdfs for all Rees Concert Lever Harps. Models which we no longer make are included as well. Laura Robinson-Hiner and her C to C Aberdeen Meadows. Máire Ní Chathasaigh and her A to A Aberdeen Meadows Harp. Bryn Bowen Cox and her A to C Mariposa Harp. Marta Cook plays a Mariposa Harp at the World Harp Congress. Jana Bauerova plays her Shaylee Meadows Harp at a festival. John, Missy and kathleen Brodzik with her Morgan Meghan Harp. Rebecca Swan teaching children with her Morgan Meadows Harp. Kathleen Dlabick trying out a Corlieu Falls Harp in our showroom. 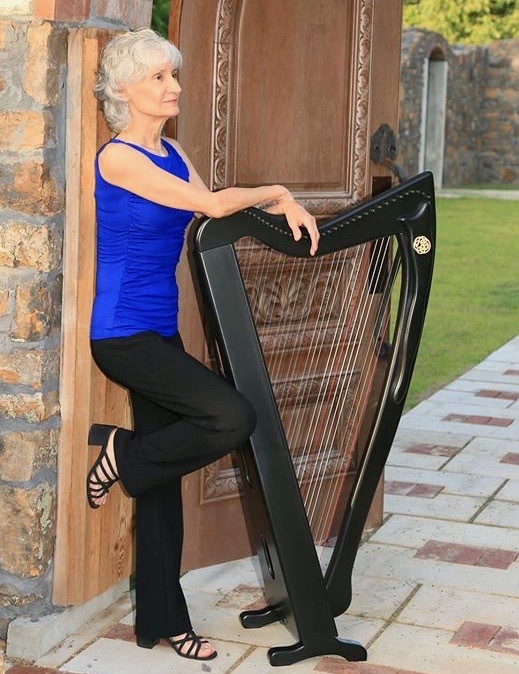 Carol Thompson with her one-of-a-kind peacock Glen Aulin Harp. Rees Logan Meadows Harp in flamed California Walnut. William clowns around with a Tuolumne Meadows Harp. Kelty Meadows Harp with tole painting by Lacey Rees.